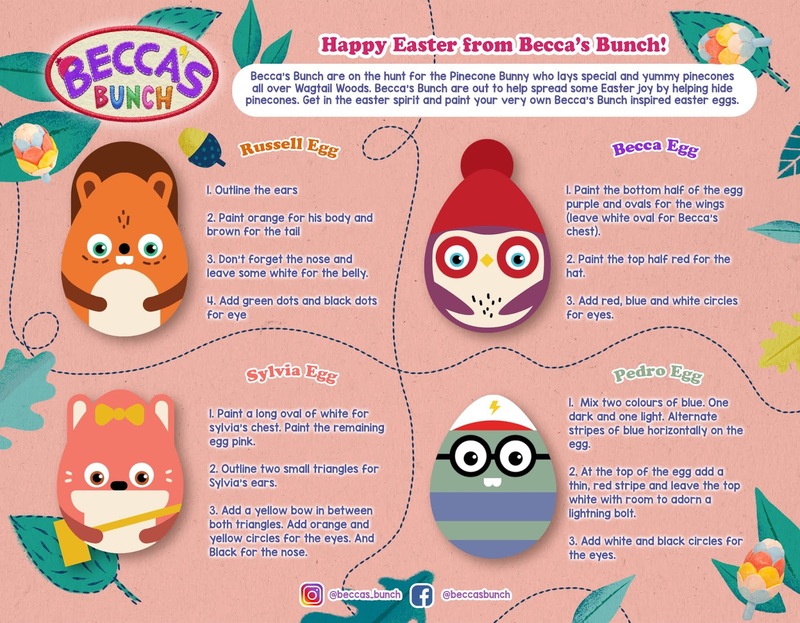 Celebrate Easter With Becca's Bunch Easter Egg Activity! With Easter just around the corner, Becca’s Bunch are on a HUNT for the Pinecone Bunny who lays special pinecones all over Wagtail Woods! If you’re interested in spreading some Easter joy, complete the attached Easter Egg Activity to paint your very own Becca’s Bunch inspired Easter eggs! Be sure to share your creations with us online and tag @beccas_bunch… we can’t wait to see what you make! You can catch episodes of Becca’s Bunch with your little one on Nick Jr. (US) and CBC Kids (CANADA), or head on over to Becca’s Bunch YouTube to watch all of the BEST clips and compilations from the series.